You are here: Sports Betting Online > Free Football Betting Tips & Football Predictions Today >	Who Will Win the FIFA Ballon d’Or Player and Coach Awards? Who Will Win the FIFA Ballon d’Or Player and Coach Awards? 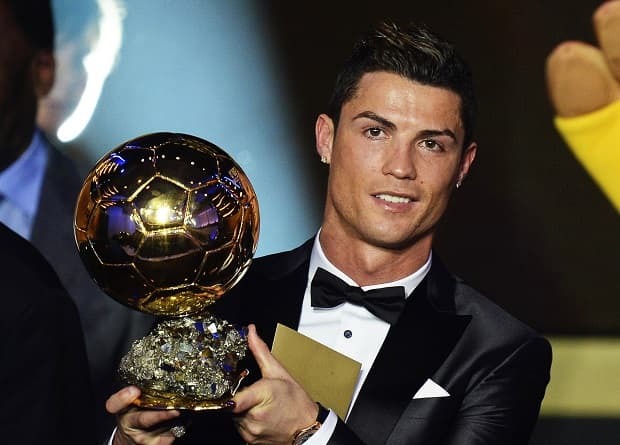 The FIFA Ballon d’Or awards for player and coach of the year 2014 will be awarded at a Gala held in Zurich on the 12th of January 2015. Christiano Ronaldo is the heavy favourite to retain the player of the year award that he won in 2013, while Joachim loew is in pole position to pick up coach of the year after leading Germany to World Cup success in Brazil. We’re looking at the contenders for each award, and asking whether there’s any value in taking on either of the market leaders. The winners are selected by an International panel made up of national team coaches and captains, and specialist journalists from around the world, with each giving their top three in order of merit. FIFA are unusually transparent when it comes to the voting, and release a list of the votes cast after the event. Previous years have shown – as you might expect – that there is a clear trend towards voting for club mates or national compatriots, and that’s something worth considering. Another interesting stat is that a World Cup winner has picked up the player’s award in three of the last four world cup years; Zidane (1998), Ronaldo (2002), and Cannavaro (2006). Lionel Messi bucked that trend when he won the prize in 2010, and along with Christiano Ronaldo he has dominated the award recently, with the pair winning the last six renewals between them. Ronaldo is the overwhelming favourite to take the player’s award, and looks to have been left a clear path after Messi’s stop-start season last year. The Portuguese star won the award last year and continues to prove that he is one of the very best players to ever grace the beautiful game. He scored 31 goals in 30 for Real Madrid in Spain last season, and 17 in their successful Champions League campaign – breaking the competition record. Perhaps the only thing that casts any doubt on his chances is the fact that he, and Portugal, had a poor World Cup. Despite an injury-hampered season, Messi still scored 28 goals in La Liga last year. The four-time winner of this award,, went on to lead Argentina to the World Cup Final, scoring 4 goals in the tournament and picking up the Golden Ball for player of the World Cup. Not a bad return in what was considered a ‘below his best’ season. Neuer is hoping to be the first Goalkeeper ever to win the Ballon d’Or, and the bias towards attacking players will surely count against him. Of the 1,623 votes in last year’s award, just 27 went to ‘non-attacking’ players. However, if a ‘keeper is ever going to win, Neuer has some pretty good credentials. He won the league and cup double with Bayern last season, before going on to lift the World Cup with Germany, picking up the Golden Glove for the tournament’s best goalkeeper. One of the world’s best ever full-backs, Lahm looked equally at home in defensive midfield for Bayern and Germany, and added three more trophies to his vast collection in another impressive season. Again the trend towards attacking players will count against him, but it’s worth remembering that the last defender to win the prize was also a World Cup Winner – Fabio Cannavaro in 2006. He may not be as fashionable as Ronaldo or Messi, but Thomas Mueller has had a superb year, and could be a lively outsider to pick up the award. Also a member of the Bayern double-winning side, he was crucial to Germany’s World Cup success where he won the Silver Boot as second-highest scorer with 5 goals, and the Silver Ball as the tournament’s second best player. He scores and assists goals for club and country with unnerving regularity, and that five-trophy haul of 2014 could put him in with a chance. Beyond these first five in the betting, the other 18 nominees are available at 40/1 41.00 +4000 40.00 40.00 -0.03 upwards; the full list includes: Neymar, Robben, Bale, Costa, Rodriguez, Schweinsteiger, Ibrahimovic, Kroos, Di Maria, Courtois, Iniesta, Hazard, Benzema, Gotze, Ramos, Yaya Toure, Mascherano, and Pogba. The FIFA Ballon d’Or World Coach of the Year has been awarded since 2010, with the previous winners including Jose Mourinho, Josep Guardiola, Vincent del Bosque, and Jupp Heynckes. The nominees this year are Loew, Simeone, Ancelotti, Conte, Pellgrini, Sabella, Mourinho, Klinsmann, Guardiola, and Van Gaal. Led Germany to the World Cup in 2014, and masterminded the infamous semi-final victory over hosts Brazil. Loew is the hot favourite for the award, and in a World Cup year he is hard to ignore. Led Real Madrid to Champions League and Copa Del Rey success in his first season at the club, and added to that haul by winning the UEFA Super Cup earlier this season. Broke Real Madrid and Barcelona’s stranglehold at the top of La Liga, when he led Atletico Madrid to La Liga glory last season, and also took them to just the second Champions League final in their history. 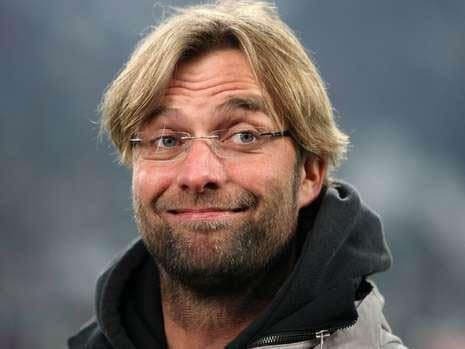 Lost to Ancelotti’s Real in the final, but went on to defeat them in the Spanish Super Cup later in the season. Outside of these top three, any of the others can be backed at 50/1 51.00 +5000 50.00 50.00 -0.02 or more. Christiano Ronaldo will probably take the award for the second time in two years, but at the prices, there could be a little bit of value in backing an outsider in Thomas Mueller. He has had a brilliant 2014, and in a World Cup year, it might be a chance for the prize to go to someone other than the obvious candidates. Although Joachim Loew won the World Cup, there is a strong argument that Diego Simeone’s achievement’s with Atletico Madrid were greater this year. He looks well worth a bet at a decent price to turn over the favourite.